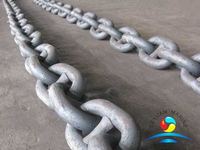 Stud Link Mooring Anchor Chain is used for anchor chains on larger vessels such as super yachts, fishing vessels, merchant ships, oil rigs etc. 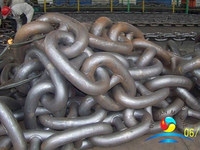 We know one full range of auxiliary fittings of Offshore Stud Link Mooring Anchor Chains have Kenter joining shackles, swivels and links are available with full test certification according to the user needs . 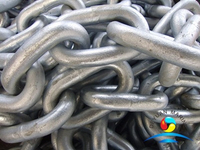 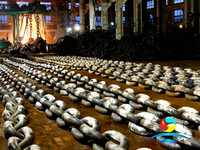 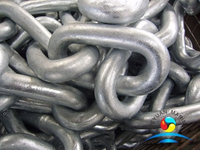 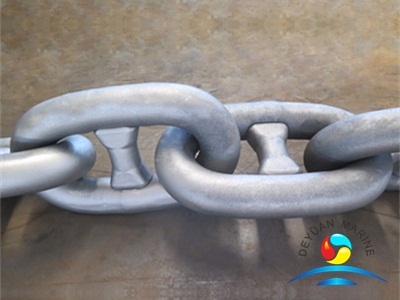 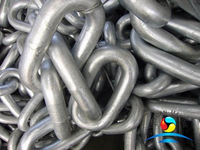 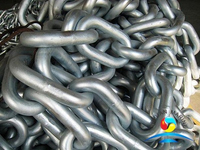 Steel Marine Stud Link Mooring Anchor Chain are supplied in different types material grades .The Grade 2 Offshore Mooring Chain and Grade 3 most common used for ships equipment and buoy moorings .Other grades such as ORQ and R4s Steel Mooring Anchor Chain have application in the offshore industry. 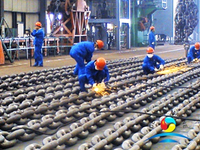 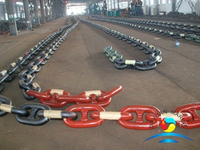 The Good Price Stud Link Anchor Chain made to international approved standards. 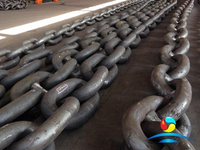 Our LR R4s Offshore Mooring Chain is verified by all the major class societies – Lloyd's Register (LR), American Bureau of Shipping (ABS), Det Norske Veritas (DNV GL) etc. 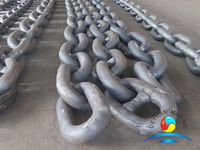 If you have any questions of Good Price R4s Steel Mooring Anchor Chain please contact us .Below is the R4s Steel Marine Stud Link Anchor Chain date sheet .Hope it can help you.